To make your cornbread a little more fun, consider stirring in some add-ins, like cheddar cheese, roasted corn kernels, diced green chiles, chili powder, or jalapeños, blueberries, or even some cooked sausage! 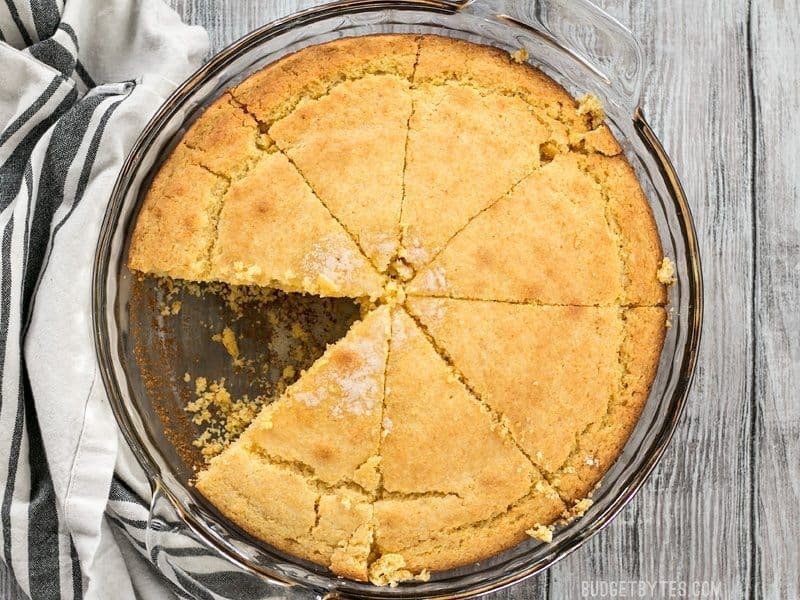 While this glass pie plate is my favorite dish to bake my cornbread in, you can use just about any baking dish. This amount of batter would fit well in an 8×8 casserole dish, or a 10-inch cast iron skillet (although you should preheat the skillet as the oven preheats). Glass, ceramic, and cast iron work best, but you can also use metal baking dishes. 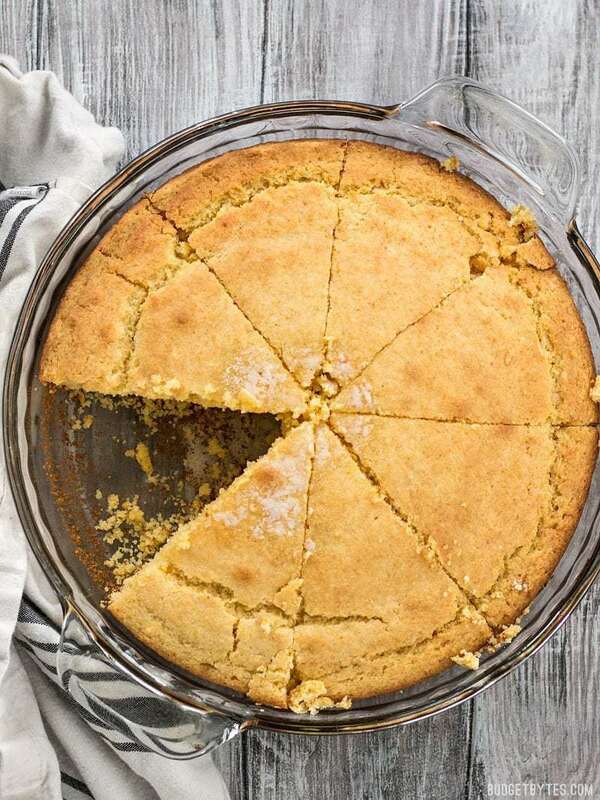 Toss that boxed mix and make this fast and Easy Homemade Cornbread, which makes a great side dish for breakfast, lunch, or dinner! 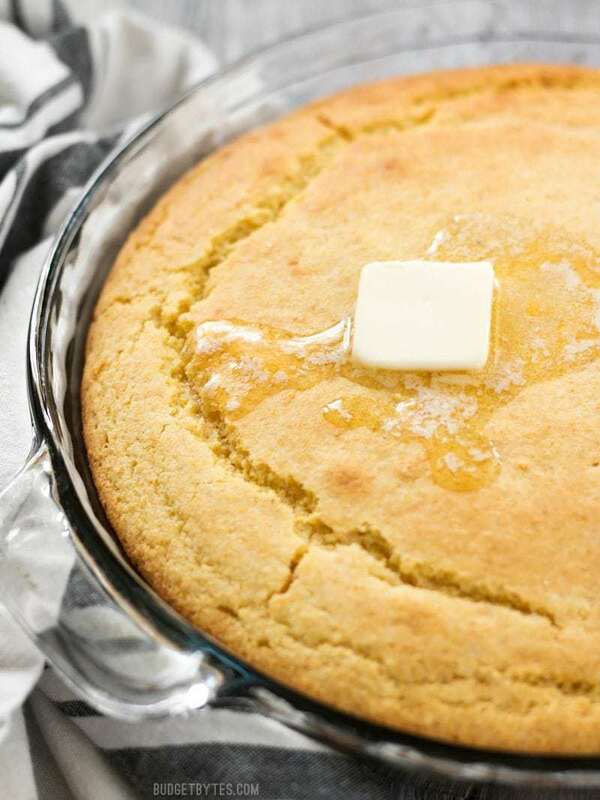 Preheat the oven to 425 degrees and coat the inside of a 9-inch pie plate, cast iron skillet, or 8x8 casserole dish with non-stick spray (or butter for more flavor). 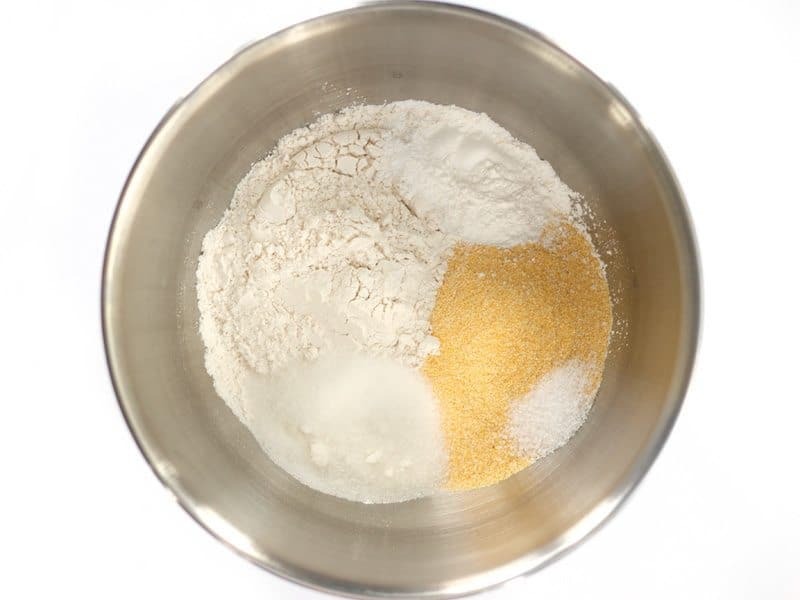 In a large bowl, stir together the cornmeal, flour, sugar, baking powder, and salt until evenly combined. 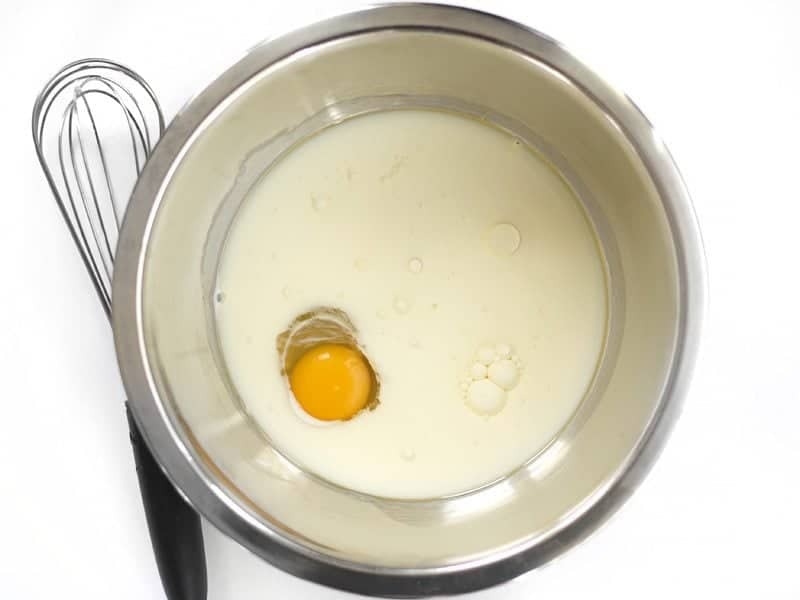 In a separate bowl, whisk together the milk, egg, and oil. Pour the bowl of wet ingredients into the bowl of dry ingredients and stir just until everything is moist. Avoid over stirring. It's okay if there are a few lumps. Pour the batter into the prepared dish and bake for about 20 minutes, or until the top and edges are golden brown. Cut into 8 pieces and serve. Preheat the oven to 425 degrees and coat the inside of a 9-inch pie plate or 8×8 inch casserole dish with non-stick spray. 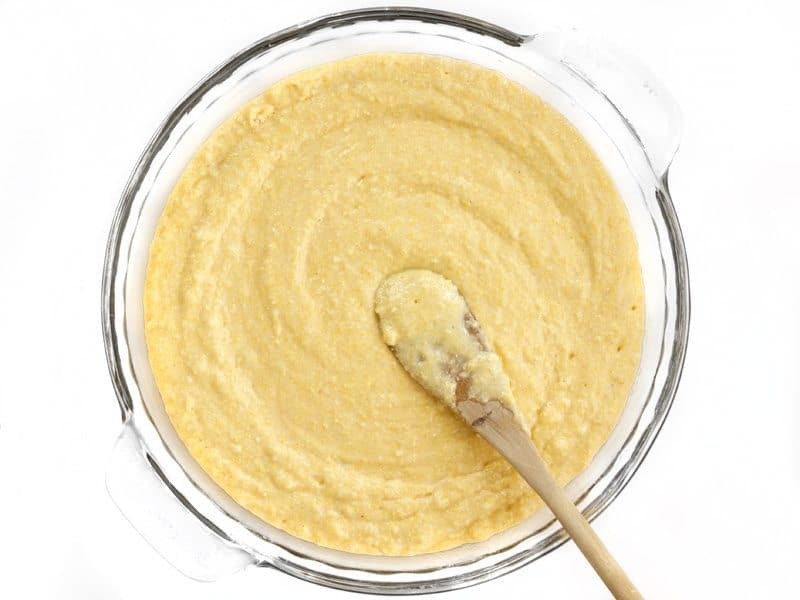 In a large bowl, stir together 1 cup yellow cornmeal, 1 cup all-purpose flour, 1/4 cup sugar, 4 tsp baking powder, and 1/2 tsp salt. Make sure these are really well stirred together. 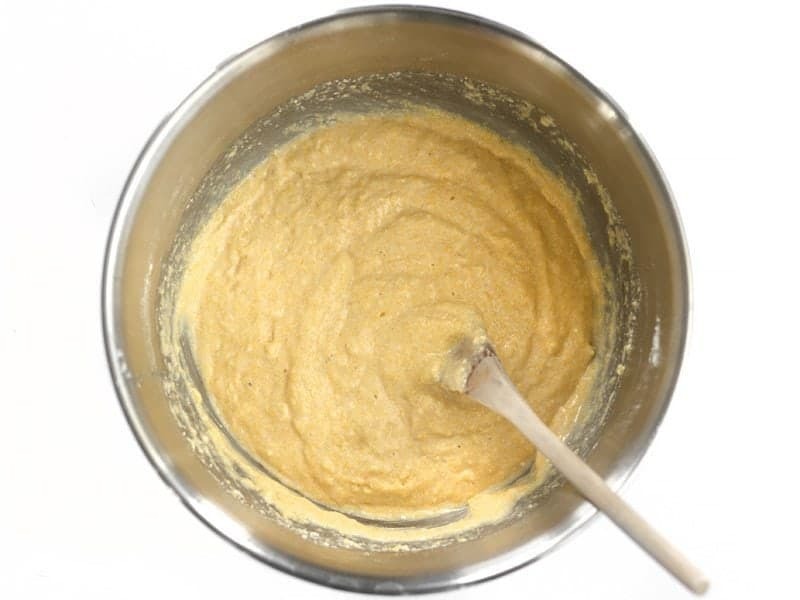 In a separate bowl, whisk together 1 cup milk, 1 large egg, and 1/4 cup vegetable or canola oil. And stir just until everything is moistened. 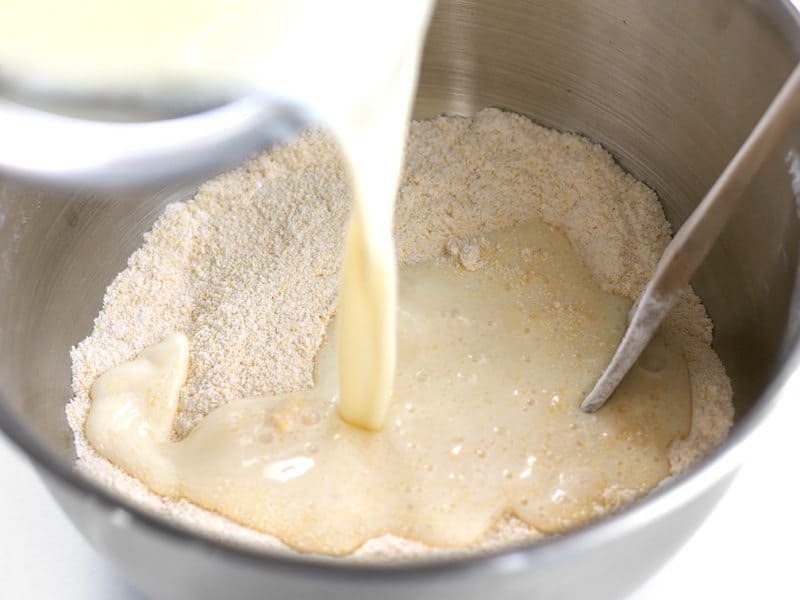 You don’t want to over stir the batter because that can develop the gluten in the flour and make the end product a little rubbery, so it’s okay if there are a few lumps. No need to stir until everything is completely smooth. Spread the batter into your prepared dish and bake for about 20 minutes, or until the top and edges are golden brown. The exact baking time may vary slightly based on your dish and your oven. The top will crack a little and look all delicious. Made this tonight. Been trying out various recipes on corn bread. This one is great. Used 1/3 C of sugar and eyeballed added honey. Also coated top with butter and put back in oven for two minutes at end. Nice n brown. I will say I’m from Tx and a lil sugar and honey goes a long way. Gracias. Made this for the dozenth time and my picky daughter devoured a piece! Nice balance of salty/sweet! Personally I dont like yellow corn meal. I make mind with the white metal and I add melted butter . It’s very good. Not too sweet. I heat the butter and oil first. Then I mix it in the mixture after it cools,as not to cook the egg. 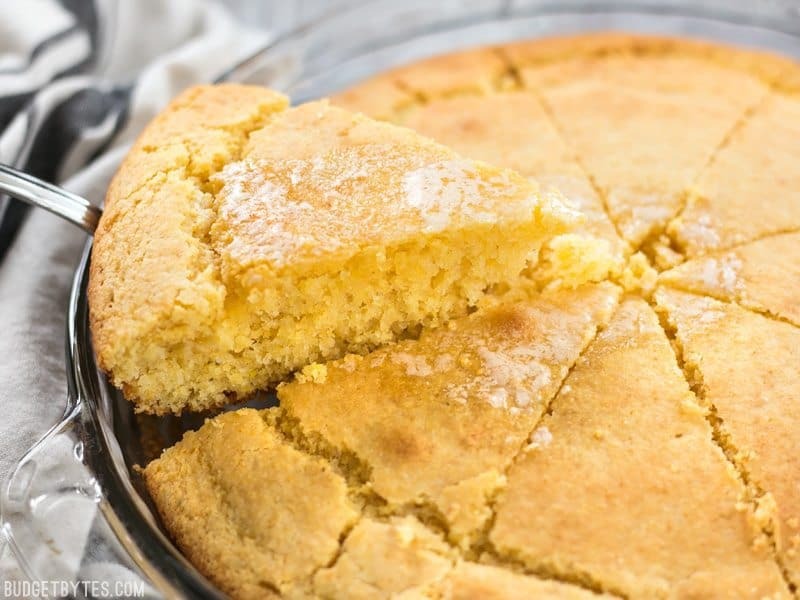 It’s a matter of taste, but when you add sugar to cornbread, it becomes cake. Try it without the sugar and see what you think. This Texas gal has never used sugar in cornbread and doesn’t know anyone who has. Wow , i just get so flustrated reading folks additions or subtraction to a posted recipe. Make the recipe and report your findings if you add anything it a different recipe. Made this to go with your basic chili recipe. I sauteed about a cup of frozen corn in a bit of oil and butter until slightly brown then added a fresh jalapeno, diced and sauteed for a few minutes more. I mixed the corn and jalapeno in the batter with about 2/3 of a cup of shredded cheddar cheese. 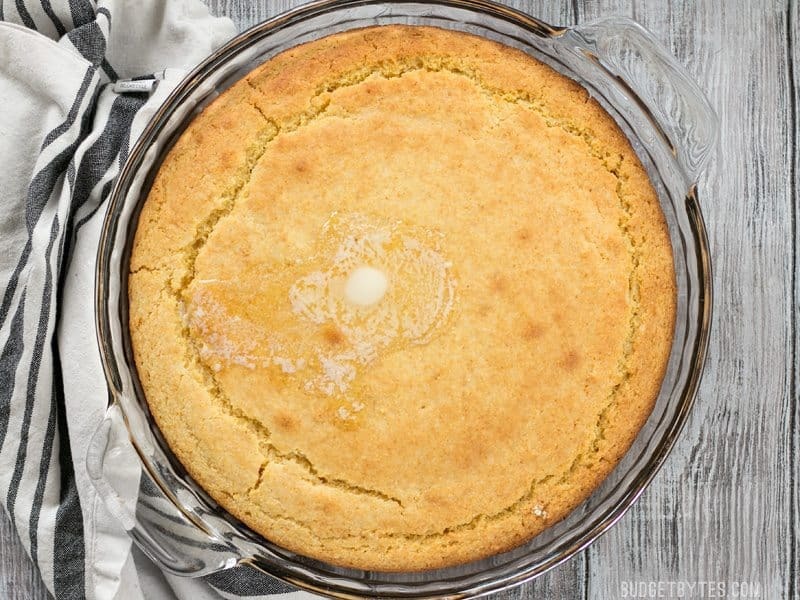 So easy, perfect sweetness, texture and heat, and took only a few more minutes than boxed cornbread which I find is either too grainy or too fluffy and cake like. I’m obsessed with your site Beth and have been sharing with friends who I know like to cook. Thank you!!! Can’t wait to try more recipes!! Made this tonight. It was a hit. My family loved it. Thank you!! It was good. I did 1.5 times the recipe and used a regular sized cake pan. Was a little dry, but definitely worth the very minimal time and effort it took. Yummy! Just like it says. I tripled the recipe for future meals use. Mine turned out too dry, I will return to using my old recipe from now on. Easy recipe and it turned out nicely. Thanks!